Length: 18 hrs. 3 min. 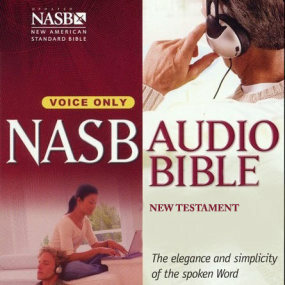 Let the power of the Scriptures refresh your soul and encourage you in daily life when you listen to the precise New American Standard Bible. This recording, which is carefully read word-for-word by masterful narrator Stephen Johnston, features the NASB without background music. Stephen Johnston has been narrating and producing television, radio and audio Bible products since 1981. In the past three decades, over 100 million cassettes, CDs and DVDs of his narrations and productions have been sold worldwide. Awards for his narrations include the Emmy, New York Film Critics Award, the Thomas Jefferson Award from the Freedoms Foundation of Valley Forge, the National Silver Microphone Award, and the Army Commendation Medal for work in the American Forces Radio and Television Service while in Army.